Do you have an iPhone that runs on iOS 11 and you are a frequent Snapchat user too! Well, that’s a deadly combination because many people who have updated their iPhones and iPads to iOS 11 are finding it difficult to use the Snapchat app. Let’s find out more about the Snapchat could not connect error in detail. We know that Apple has proudly announced the release of its iOS 11 to all developers in the opening keynote of WWDC. After that convention, lots of people had the privilege to get the latest iOS 11 on their iPhones and iPads. However, it is worth noting that the OS is still in its beta stage and it will become public most probably by the end of this month. 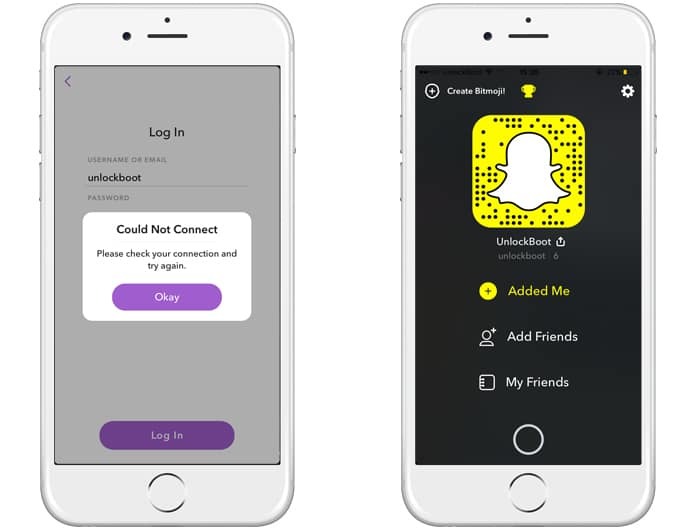 Snapchat has taken a usual step which has prevented the app from working on the beta platform. As a result, iOS 11 now allows Snapchat users to easily save and record videos and images without the sender being notified about it. A few days ago, a potential bug was identified in the Snapchat app, and this bug is capable of capturing the incoming media without the app sending any notification to the sender of that media file. We call this an error because this is not the normal function of Snapchat. The app does not work in this way and to counter this problem, the recent update of the app prevents Snapchat from working on the devices that run on iOS 11. It has not yet been confirmed whether this issue or bug has been created knowingly by the Snapchat guys or it is simply a technical error (Snapchat could not connect. Please check your connection and try again). We cannot ignore the coincidences and the fact that this strange problem is limited to iOS 11 alone. The app continues to work fine as before in the older versions of the iOS. If you have been using the iOS 11 for quite some time and the Snapchat issue has been making you feel frustrated then here’s a quick and simple solution for you. You simply need to upgrade the Snapchat app to the latest version which is 10.10.2.0 version. You do this you simply need to delete the older version of the app existing on your iPhone and once it is completely deleted, go to the App Store and again install the latest version of Snapchat. We hope Snapchat will soon come up with a solution for this error permanently sand this may happen pretty soon after the beta version of iOS 11 goes public. We may expect to get the updated version soon until then you can try the solution provided above. 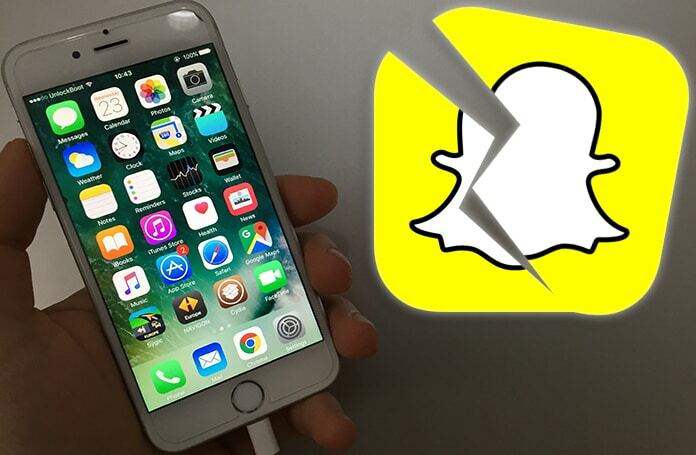 If still you facing the Snapchat could not connect error on your iPhone, we recommend you to downgrade your iOS version to the latest official version. Follow this guide here to downgrade iOS 11 to iOS 10.3.2. Let’s hope that Snapchat comes up with a solution for the error even before that so that iOS 11 beta testers can also enjoy using Snapchat without any hassles. Until that happens, try the method above to fix the error and continue using your favorite messing app service without any interruption.